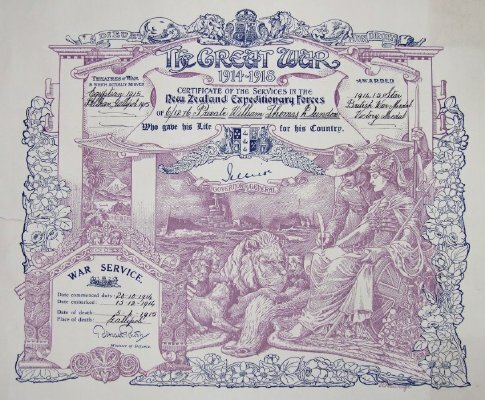 Abstract War Service record for World War 1. 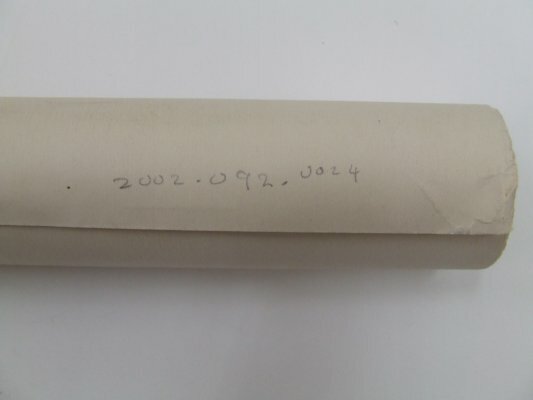 Originally in a brown cardboard roll (see 2002.092.0045). 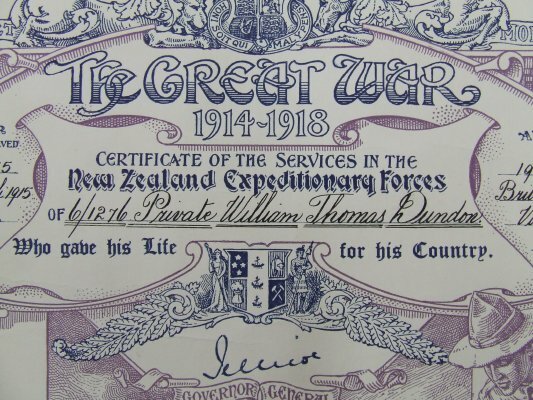 The certificate says, "The Great War 1914-1918, certificate of services in the New Zealand Expeditionary Forces of 6/1276 Private William Thomas Dundon, who gave his life for his country. 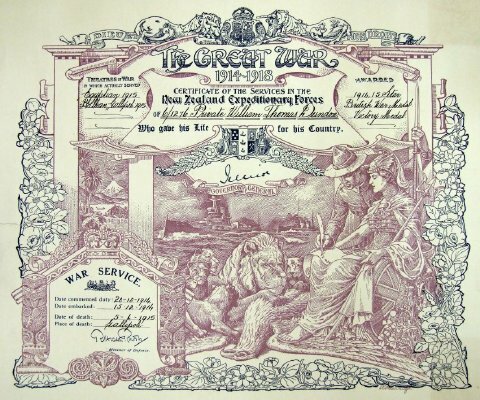 Signed by Governor General Jellicoe. Theatres of war in which actually served, Egyptian 1915, Balkan, Gallipoli 1915. Awarded 1914-15 Star, British War Medal, Victory Medal. 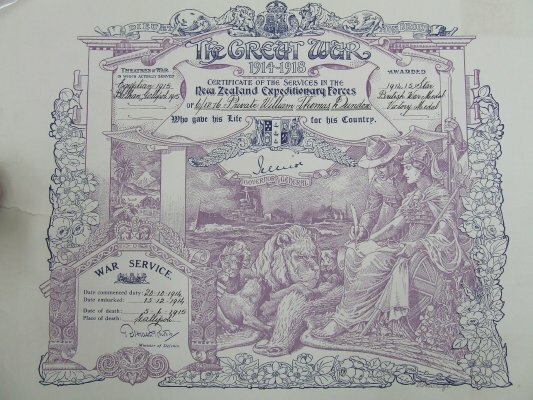 War Service: Date commenced duty 20.10.1914; Date embarked 15.12.1914; Date of death 5.6.1915; Place of death Gallipoli. 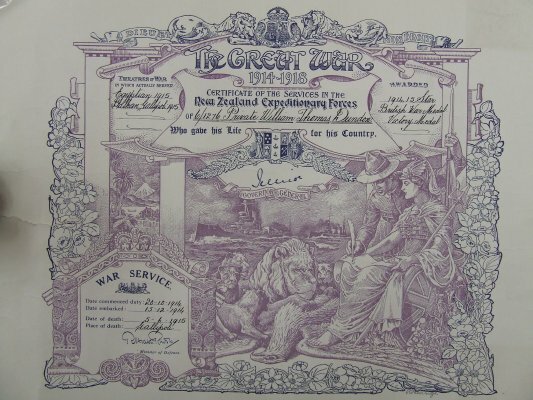 Signed by (unreadable) Minister of Defence."